Glengarry Castle Hotel is a comfortable country house hotel with a jewel of a setting on the shores of Loch Oich, which lies between Loch Ness and Loch Lochy at the heart of the Great Glen in the Highlands of Scotland. Central for touring the Scottish Highlands to Inverness, Ben Nevis, Fort William, Eilean Donan Castle and the Isle of Skye. The hotel enjoys a deserved reputation for Highland hospitality. 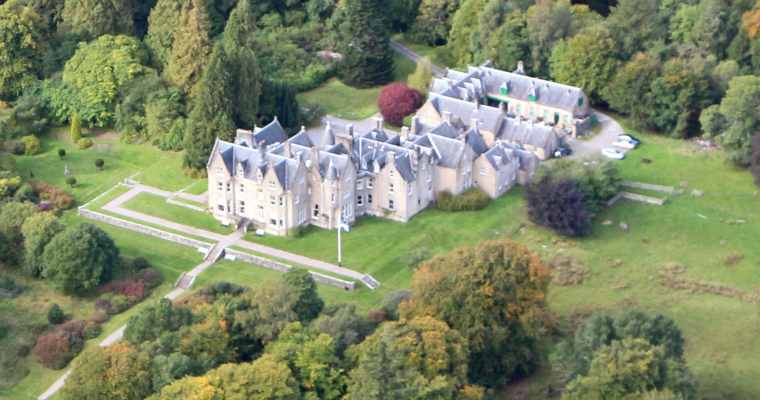 The ruin of Invergarry Castle lies within the hotel grounds near our main entrance.